As we wrap up 2018, I just wanted to share a few things with ya'll about our Manure Spreader Program. In short, it's been a great year! 20% decrease - great reduction in our carbon footprint! I often say that our manure spreader program is one of the best direct benefits we provide to the horse community in Snohomish County. 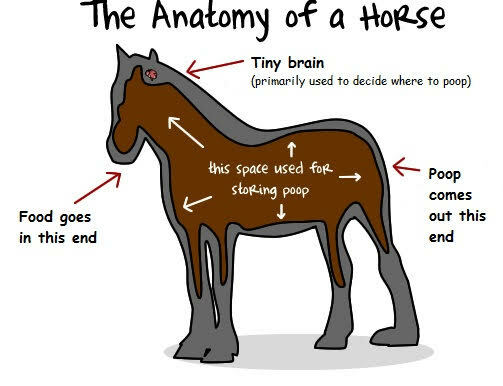 After all, if you own a horse you will have manure! This program is a valuable option for all of us to use that manure to help not only ourselves but the land that provides nutritious forage for our equine friends. Stay tuned for future updates. If you have any ideas on how we can improve our program for 2019 then PLEASE let us know! We always enjoy getting input from you! 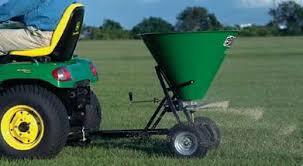 We also have a small lime spreader available for FREE (including delivery and pick up) for everyone needing to spread lime on their pastures. The pH of our soils is a constant struggle for us in western Washington, and applying lime is our best way to overcome. It is the best way to battle weeds and free up nutrients for good grass production. That is why we offer this benefit to every cooperator we have, even if you don't own a horse! Good grass production and good pastures are not just for grazing. It also helps filter the water going into our streams, creeks and groundwater, as well as do a great job sequestering carbon from our atmosphere. If you would like to reserve the manure spreader please contact us any time to get scheduled. Before spreading compost or lime on your pasture the most essential thing you can do in order to do it intelligently is to test your soil. A soil test will not only tell you the pH of your soil, letting you know how much lime you need, but it also tell you how much of each of the essential nutrients you have in the soil and how much you need for healthy grass production. Also, a healthy soil test is required before reserving the manure spreader because we cannot advise spreading on soil with existing nutrient problems. We test soil for FREE during our "Soil Test Season," which is from about mid-April until mid June, then mid-September until mid-October. What drives that schedule is soil saturation from our rains or dryness from the lack of. Soil moisture is a key piece in obtaining a proper testable sample. Please contact us during the season to discuss your need and get a spot on the schedule. For more information on composting and using horse manure please read the "Guide to Composting Horse Manure" by WSU Cooperative Extension. Note * - contact Michael for a current list of entities that will accept or haul manure off of your property. Throughout the year, the list may change and Michael can point you in the right direction. Have a joyous holiday season, and I hope you all have a great 2019!